Spectacular Spaces - A pop of color! With furniture in place, the owner felt that the room needed a touch of wow! 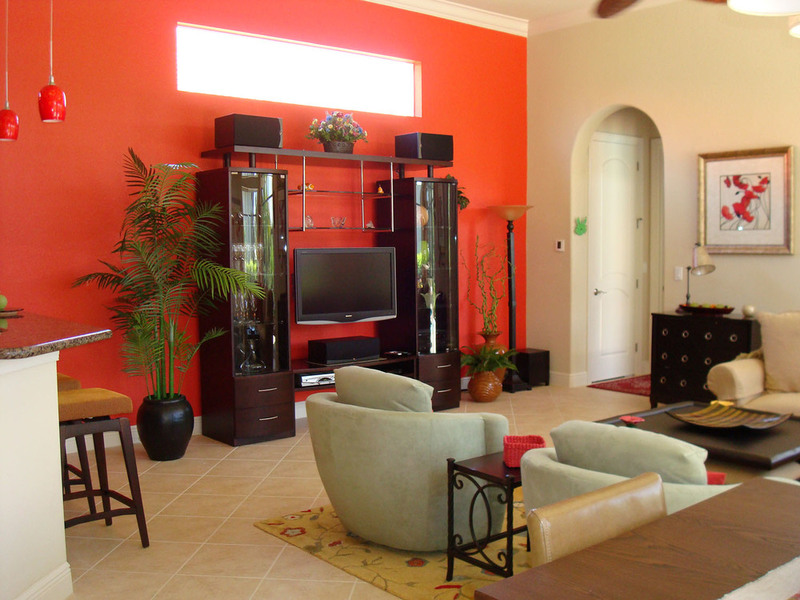 So we did an accent wall in family room and kitchen in a high gloss red. Simple change but huge impact.